Dress to impress. Ranging from simple Pelmets which add a finishing touch to a Blind or the most elaborate grandeur of Swags and Tails, you can utilise pelmets to produce stunning effects. 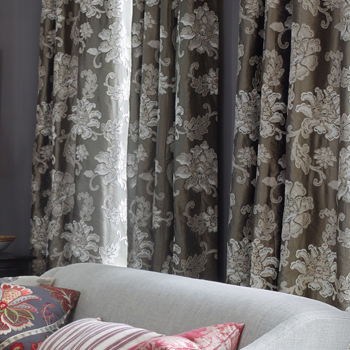 Traditional Pelmets and the more embellished relative which is called a Lambrequin, which are made from a board which is cut to shape and upholstered, the shape can be straight, or sculpted to suit the window and design of fabric. 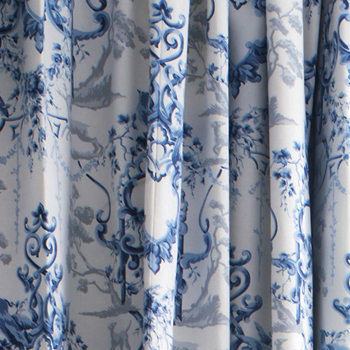 Valances, which offer a softer, less structured look and can include hand made headings as well as a variety of sweeping shapes and trimmings. 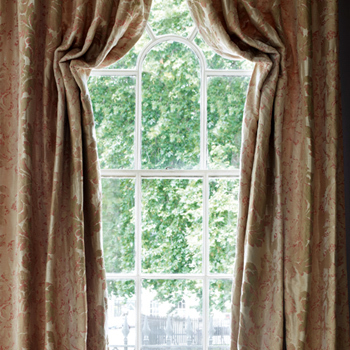 Swags and Tails, which are a traditionally elegant way to dress a feature window. Swags are made to sweep across the heading of a window, whilst tails form the frame of the overall treatment. The use of contrast fabrics gives definition to the drape. We have an eye for picking the right pelmet style and trimming that completes the overall look and can use them to accentuate the dimensions of a window or simply to add that dramatic wow factor. Have you thought about using a pelmet to make a small window look bigger? Why not use our interior design service to bring together your ideas into your own unique window dressings with the perfect look?